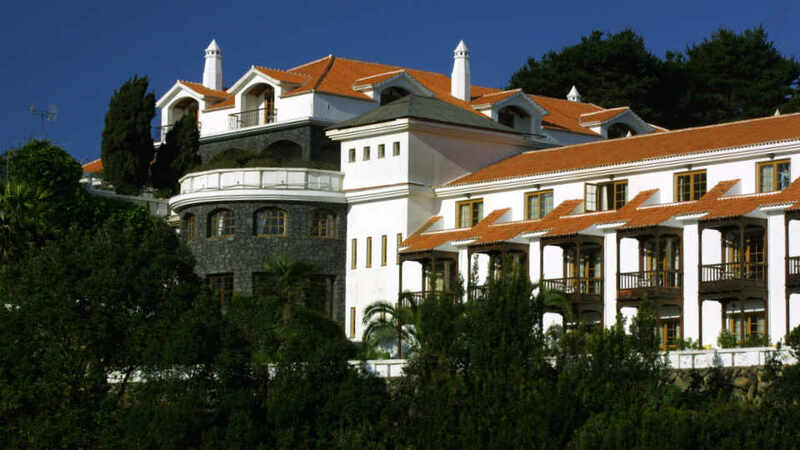 A delight to those who want to unwind, the serene terrain of Barlovento is also the greenest part of La Palma. 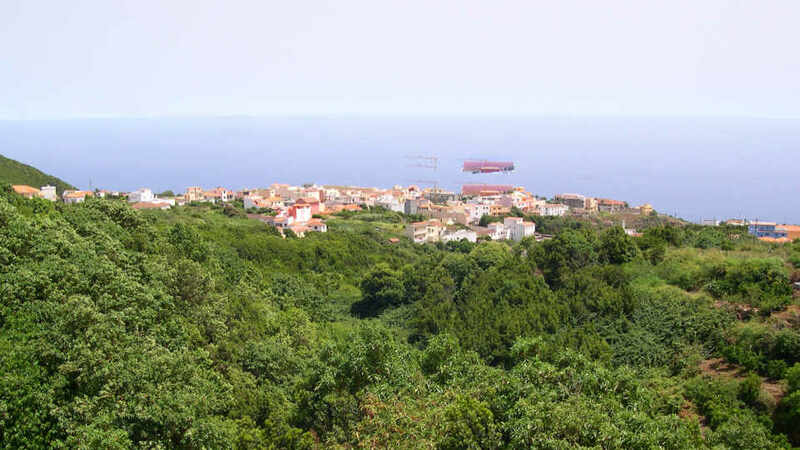 It has a rural landscape veiled by laurel forests, dragos, heathers, and pines. On the other hand, its high grounds are windows to the lovely seascape and its emerald hills. It does not suffer from the deluge of mass tourism hence its vast expanse remains unspoiled. The Canary Islands have always been blessed with fertile soil and all-year-round sunshine. So, after its conquest, heaps of land were used for sugarcane cultivation. Such was the fate of Barlovento, and its small port of Talavera became the door to trade. “All good things must come to an end,” so goes the saying. The sugarcane industry had a great run. But by the 16th and 17th century, these fields were turned into vineyards. In turn, wine became the primary export of the Canaries. As the dawn of tourism came in the early 20th Century, agriculture pushed further inland. Local wines are still in high demand up to this day though, and many vineyards have stood the test of time. As for the windy Barlovento, it has shifted to banana, avocado and potato farming since the 60s. Tourists looking for palatial hotels, wide sandy beaches, and lively bars will not find it in Barlovento. It is a world apart from the tourist resorts in other parts of the Canaries. That is not to say that this municipality does not have its tourist traps. It does, and these are the natural marvels which abound. Barlovento is for nature lovers who wish to escape the hustle and bustle of daily life. It is for leisure walkers who crave for spectacular scenery. The natural seawater pools are not only enticing but also captivating. Moreover, the locals ensure that visitors feel right at home. 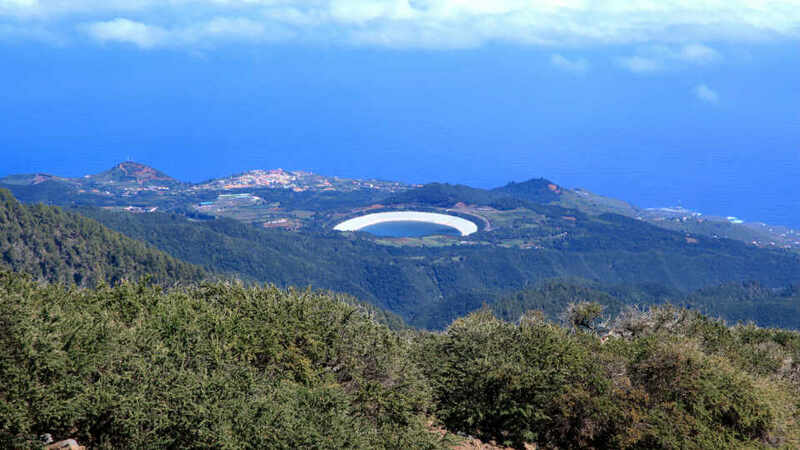 An ambitious project to build the largest reservoir in the Canaries started a few decades ago. It was meant to supply the vast plantations on the coast and southeast of the island. Today, Laguna de Barlovento sits on what was once a natural crater lake. Next to the large artificial reserve is a large park. On weekends and holidays, this is one of the hottest spots for the locals. Here, they have barbecue and camp out with family and friends. Observing the flora and fauna, cycling, and trekking are quite popular too. There’s also an obstacle course for groups who are up for a challenge. 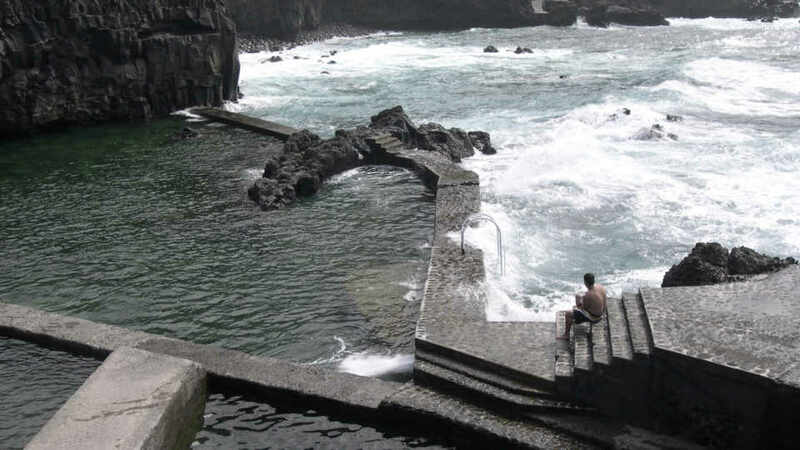 Of the many things to do in Barlovento, most tourists spend some time dipping in the natural pools of La Fajana in Punta del Corcho. 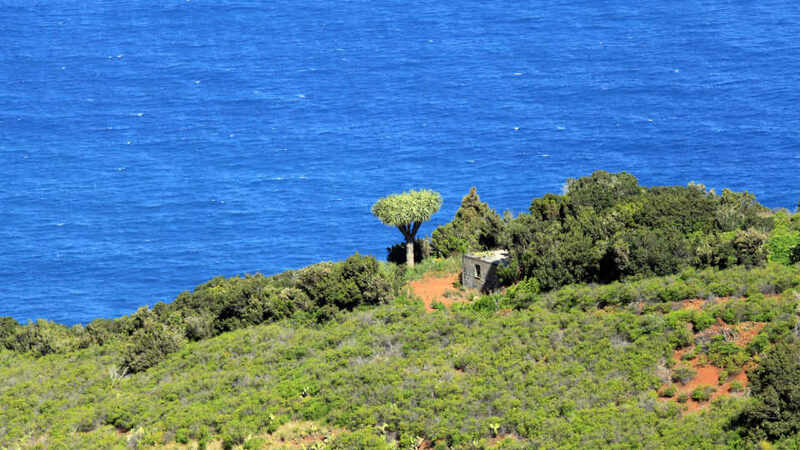 Although hidden on the east coast of the municipality, it has amassed loyal visitors. Even during the peak season, the three volcanic rock basins are more than big enough to accommodate its guests. La Fajana Natural Pools is simple, but it has all the essentials. A fantastic viewpoint greets visitors upon arrival. Nearby, there is a promenade for people to saunter and bask in the rugged natural beauty. Below, a couple of sun terraces and the three seawater pools await. While the waters of the Atlantic can be rough, dipping in the pool is safe with no danger of being swept away by high waves. There are no artificial structures to block the pristine view inland. Just about everything here at the natural pools of La Fajana is a creation of nature. It is a gift of fun and relaxation. The travel up north to see the natural splendors of Barlovento is every bit worth it. Once in the municipality though, nothing beats walking and sightseeing. A must-include in the countryside stroll is a visit to any of its three viewpoints where nature spectators can have a better view of the expanse. At the entrance of the La Laguna Recreational Park is the La Laguna de Barlovento Viewpoint. And, as the name suggests, the panorama it offers is that of the Laguna de Barlovento reservoir. It is but a small mirador with volcanic rock masonry, but the sights are heavenly. The enormous circular reserve, surrounded by serene greenery, is lovely yet intimidating. Another spectacular spot is the La Tosca Viewpoint. At 700 meters high, it offers a splendid view of the sea, the shoreline, and the villages of La Tosca, Topaciegas, La Palmita and Gallegos. The stunning downslope of the cliffed coast is also an enchanting scene. Finally, tourists fascinated by stargazing should head to El Molino Viewpoint. On its deck are informative panels about astronomy such as moon observation, the Pole Star, and the Sky Law. There’s also a signpost and a wheel-planisphere to help visitors locate stars and constellations. During the day, some parts of Barlovento and Garafia, as well as most of the north coast of La Palma, can be seen from this vantage point. The sight of houses clustered on a dramatic landscape shows how locals have been living in harmony with nature. At the heart of the historic area of Barlovento is the Nuestra Señora del Rosario Church. It is the most valuable religious structure in the municipality and the oldest too. Always well-maintained, some people may not realize that it dates as far back as the 16th Century. Inside the church, the interior highlights how the locals treasure this sanctuary. It has sophisticated yet straightforward dark wooden beams and traditional chandeliers. Also within its holy walls are three figures of which two are as old as the church itself. Moreover, the 16th Century baptismal font is still there as well as the 18th Century baroque style main altarpiece. Containing the wanderlust within is hard. And, if it’s nature they crave, Barlovento’s got them covered. One day will not be enough to trek all its delightful trails. A couple of hours of sightseeing is not enough. No matter how fun though, visitors will eventually need to call it a day and rest. Barlovento is a countryside charmer with only a single hotel and some holiday homes. Even with just a few lodging options, there’s always at least one that suits their needs. The municipality may not have the numbers and the big names, but the sights they have are beyond compare. And, that’s why people travel. It’s rarely about the hotels but more about the beautiful places, the people, and their culture. Hotel La Palma Romántica is the only hotel in Barlovento. The property, oozing with life, color, and charm, is nestled within an enchanting Lauri Silva forest. It has a spa, gym, two pools, and tennis courts. Each of the rooms in the hotel has a view of the Atlantic or the mountains from the balcony or terrace. There is also no need to go far for a lovely dining experience. Hotel La Palma Romántica has a restaurant that serves delectable Canarian and international cuisine. Here, diners can even enjoy their meal on the terrace with dazzling ocean views. Immersing in the local culture is one of the best ways to thoroughly enjoy a visit at Barlovento. As such, staying in holiday homes is not only a matter of costs but also of living the life to the fullest in simplicity. Ideal for small groups, the Peluquina has two bedrooms both with two single beds. Guests can also watch satellite TV in the living room. A fireplace not only is for practical reasons but also adds to the allure. The kitchen is also available to guests, and it comes complete with the essentials – dining table, oven, microwave, fridge. If needed, there’s also a washing machine provided. Like most accommodations in Barlovento, Peluquina offers a remarkable seascape and mountain views. At the terrace, guests can sit in the outdoor dining area surrounded by unrelenting epic sceneries. Surrounded by avocado trees and banana plantations, this holiday home is a charmer. It’s the Canarian version of the traditional white picket fence dream home. There is no vertical board fence here. Instead, it has whitewashed concrete wall enclosing the large backyard with private pool. Guests of Simón can relax on the lounger and bask in the sun while appreciating the azure Atlantic. This 2-bedroom rental is perfect for small families or groups. One room has a double bed and the other with a single. It also has a cozy living room with fireplace, satellite TV, sofa, and armchairs. Guests can also prepare their favorite dishes in its fully-equipped kitchen. Hikers need not go far for an enjoyable trail if they stay at Facundo A and Facundo B holiday homes. Only 500 meters from the properties is a track leading past Barlovento Lake and Mirador del Topo. Even before leaving its ground, guests here are already surrounded by spectacular scenery. Both are whitewashed houses featuring delightful traditional Canarian architecture. They also have comfortable living spaces with a fireplace, sofa, and TV with satellite channels. Before or after the hike, guests can whip up their meals in the fully-equipped kitchen. A washing machine is available too. Although somewhat limited, the dining options in Barlovento are satisfying. Most are also in or near tourist attractions, so travelers need not pull out their maps. All they have to figure out is how to focus on eating when surrounded by incredible natural wonders. The most popular dining place in the municipality is Restaurante El Campesino. Even locals dine here for their fantastic grilled specialties and Canarian dishes. Their best-sellers are salted cod, pork chop, a mixed plate of Spanish sausages, grilled chicken, grilled goat cheese, and chickpea soup. Pair any of the dishes with local wine or banana liquor to have the best dining experience. Tourists visiting the La Laguna Recreation Park will not miss Restaurante Las Goteras. It is another must-visit in Barlovento. Diners can’t go wrong with any of their grilled dishes paired with Mojo Verde. The unique fried cheese with cranberry sauce is also a must-try. Although some people may find it odd, they still end up loving it. In fact, it is one of the signature dishes of the restaurant. For quality meals in big serving sizes and excellent customer service, Las Goteras is the place. Tasty seafood dishes before or after taking a dip in the natural pools sounds like a fantastic idea. It doesn’t have to be just an idea though. Restaurante la Fajana is but a couple of steps away from the seawater pools. In fact, dining here in swimwear is the norm rather than the exemption. They have a host of seafood dishes to choose from, but their Alfonsino is the most popular. For a quick snack, try their tortilla española, or the Principle Albert to satisfy a sweet tooth. Munching on delicious food while listening to the sound of the sea is nothing short of heavenly. Public Transport is available from Santa Cruz de La Palma, Puntallana, and Los Sauces to Barlovento on weekdays. Bus line 100 departs the capital every hour from 6:15 to 22:30. It only takes 15 minutes to reach Puntallana, and another 20 minutes to arrive at Los Sauces. For tourists traveling on Saturdays, Sundays or a bank Holidays, they must hire a car. Barlovento isn’t for all. Not everyone appreciates the perfect fusion of nature and urbanity. And, very few would hike to a viewpoint for some night sky-watching. For those who do though, Barlovento is a place that is so hard to find these days. There are no massive tourists resorts or avenues full of bars and restaurants. Even water sports activities are non-existent. Instead, it is just nature and the quaint villages offering a serene experience, even for only a brief moment of time. It is a place that offers no promises other than tranquility and majestic views. A countryside escape – that is Barlovento.